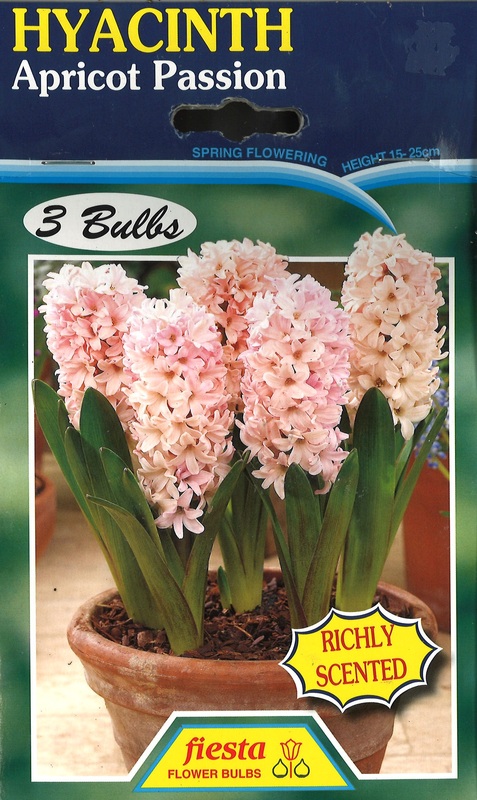 Oderings | Hyacinth Apricot Passion Bulbs - among the most beautiful and strongly scented spring flowering bulbs. Hyacinths are amongst the most beautiful and strongly scented spring flowering bulbs. Easily grown in pots or outdoors, their delightful scent heralding that spring is really here. Plant bulbs in a sunny position in well drained soil. Raise beds if ground is heavy or wet and place bulbs 8-10cm deep and 8-10cm apart. Cut off old flower spikes to encourage bulb growth. For best results year after year, feed with bulb food.